Comparing this to price of Natural Gas (as of November 2015) for Residential service is $0.​71185 per therm. Applying a 90% conversion efficiency Natural Gas comes to around $0.77778 per therm delivered. Geothermal in 2015 is ~ 10 % more expensive. However the price of geothermal energy is determined on the deltaT across the heating the equipment. Fig 1 below shows the relationship of cost of energy vs the deltaT for a supply of 170°. When the return termperature drops down below 110° degrees Geothermal is competive to natural gas. 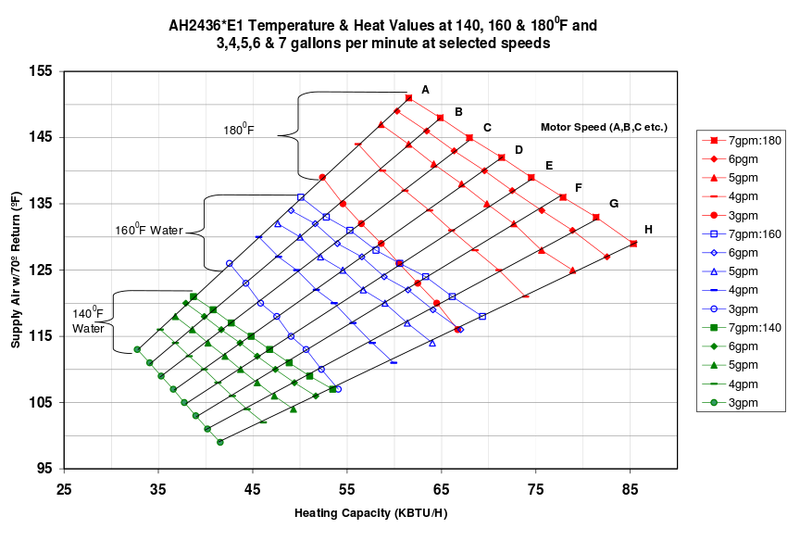 Fig 2 gives the peformance specification for Thermopride Model AH2 Hydronic Air Handler. First looking at the configuration which should give the greatest delta Temperature. Selecting the 180° entering water temperature at 3 GPM and the blower at position H or 1300 CFM gives a delta temperature of 45.8°. Same condition at 160° is 34.18°. Linear interpolation gives ~ 37° deltaT at the nominal supply temperature of 170°. 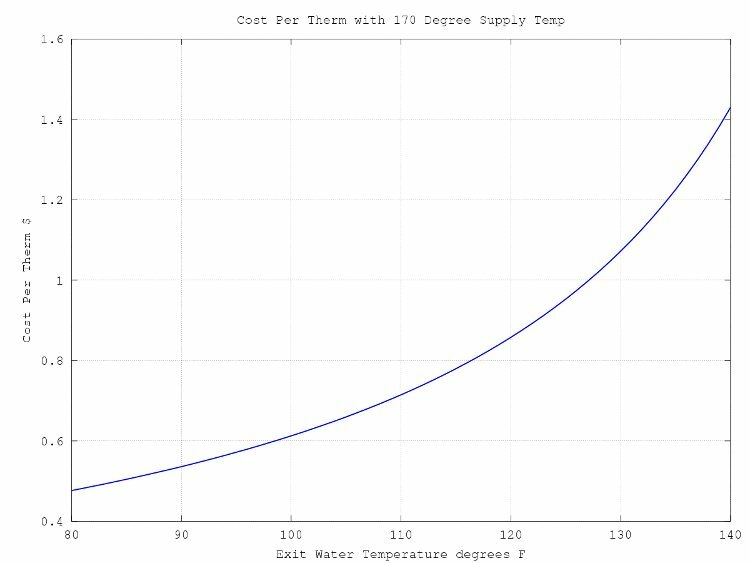 If this equiment was used for space heating the cost of geothermal water would be approximate $1.25 per therm per Fig 1. The FirstCo 48EVBQ air handler is larger with higher blower flow rates than the Thermopride unit and gives better performance. The specifications for this unit is given in Fig 3. Selecting a blower speed of 1400 CFM and linearly interpolating to 170 degrees gives a deltaT drop of 52°. Selecting the full blower speed of 1600 CFM gives a 57° deltaT. 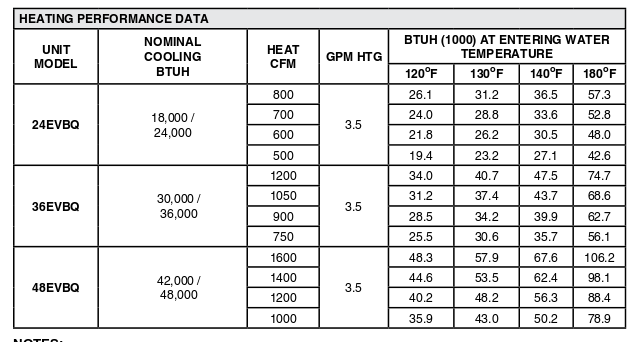 If this equiment was used for space heating the cost of geothermal water would be approximate $0.81 per therm at 1400 CFM and $0.75 at 1600 CFM per Fig 1. Underground rated PEX pipe see Uponor or URECON and Thermal Pipe Systems for fiberglass pipe with built in expansion joints.